Steven Moss, CEO of GlassPoint Global, shares that GlassPoint and Petroleum Development Oman (PDO) are making significant progress on Miraah, which is in daily operations and meeting all targets. As you can see, 4 greenhouse ‘blocks’, a standard module of GlassPoint’s enclosed trough technology, are online. Each block has up to 40 rows of mirrors that track the sun throughout the day. These blocks have a peak capacity of 100 MWt and can deliver 660 tonnes of steam per day. The steam is used by PDO to produce heavy oil more sustainably. And there’s more to come. The construction project has surpassed 3.5 million man-hours without Lost Time Injury (LTI) and counting. Construction is ongoing and steam production is ramping up to meet PDO’s future steam demand. Another 200 MWt will come online in 2019. There are lots of things happening in Oman right now. 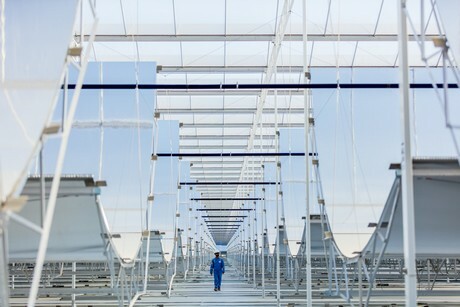 GlassPoint and PDO launched the ‘SolaRISE’ Technology Center, standing for Solar Research, Innovation and Sustainability in Energy. The center is focused on reducing costs and evaluating solutions for using solar energy for other industrial processes in Oman and around the world. 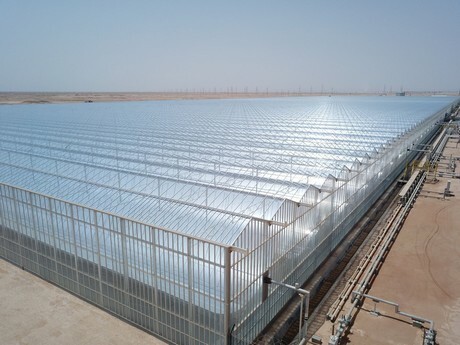 Most recently, GlassPoint and Occidental of Oman announced a signed Memorandum of Understanding (MoU) that could lead to a large solar thermal energy plant, exceeding two gigawatts, at the Mukhaizna oilfield.